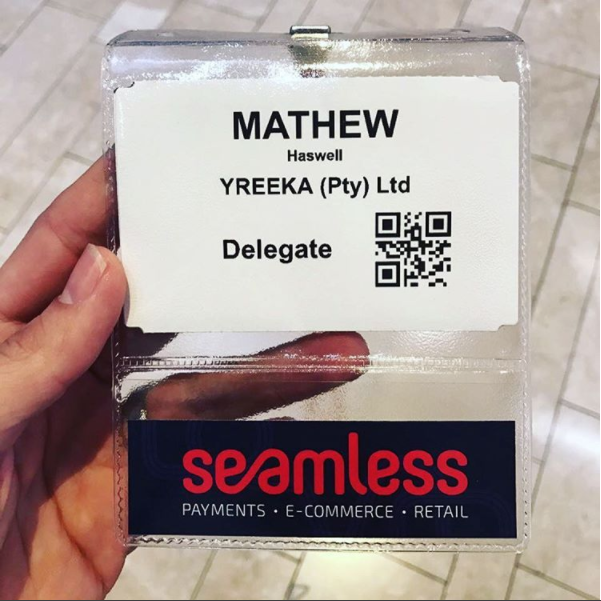 Not so long ago I attended one of Terrapin’s Seamless conferences in which I spent the majority of my time sitting in on the e-commerce stream. There were various guest speakers and exhibitors present, it was a great showcase of how technology and business intersect to meaningfully impact consumer’s. The theme of personalising shopping experiences was very prominent with a push to enhance a personal experience for users. The ultimate goal being creating platforms that can predict customer’s preferences beforehand and then offer a tailored digital experience for consumer’s to drive online sales. The higher the personalisation the higher the chances of calls to action and triggers leading to conversions. The challenge discussed however was that this level of personalisation and customised experience is still incredibly elusive and intangible. The ability for businesses to achieve this provides a competitive advantage and hence much time, resources and money is being spent on the pursuit of this goal. I spent much time reflecting on how this was an opportunity worth pursuing. I could however not consider this outside of two items that seemingly define the shopping behaviour today, impulse purchasing and immediate gratification. Some businesses are drawn into the notion that they can identify common behaviours among groups of their customers. In the hope that this will allow them to predict how clients that are similar are going to behave. The risk that exist with taking this approach however is that by looking at big data and reviewing numbers, businesses are potentially boxing themselves into a very deceptive corner. Much of the intangible may lie outside of the data, rather than looking for quick fixes perhaps it would be worth viewing personalisation with a different lens. I can’t help but feel that the solution needs to be sought under the umbrella of an evolutionary psychology paradigm, with neuroscience as a rudder form which direction is obtained. The reason I say this is that we would like to believe that our decisions are made on the sole basis of logic and reason, when in actual fact research suggests otherwise. There is growing evidence that posits that our decision making process is just as influenced by the more ancient part of our brain, in ways that are not conscious but nevertheless influence our actions and behaviours. Evolutionary psychology borrows from theories that suggest how biological diversity has come into being over time. This framework is applied in an attempt to understand how the human brain has evolved. Proposing that human beings are predisposed to ensure survival through natural selection as well as sexual selection. On such terms human beings have evolved into a state of design in which we are able to be most efficient in our pursuit of survival based upon what has served us in the past. We have developed the cognitive capacities to think in abstract and complex means in order to solve various complex problems but we have also developed the cognitive facilities to respond to danger or the pursuit of pleasure in very quick and efficient terms. The ability to solve problems and make informed and creative decisions have served us well in the past and as a result are part of our current make up. Consumers however don’t always make smart decisions nor do they always know why they have purchased something and later regret their impulse buy. We have two quiet opposed forces within our brain that are both rational and emotional, both of which are believed to be governed by different regions of our brain. Rationality being predominantly located near our forehead and the emotional in some of our more primitive parts of the brain, including the limbic system which shapes our emotions and impulsive responses. The later being more ancient and therefore as research would suggest is more well established and prominent in certain instances where immediate responses are required, in effect overrides our rationality. Therefore, in certain instances we respond first via some form of action before we have even been able to process why. Thinking is slow and considered in comparison to certain behaviors that are required when speed and an immediate response are needed. There are vast amounts of consumer data that are ever available for businesses to make use of. Data pertaining to user behaviour as a result of clicks, page views, events, social shares, categories and so on. These metrics are a great indication of what consumers are doing however it is really not a great indicator of why. In order to accurately grasp why consumers are doing what they are doing online one needs to think like an evolutionary psychologist. Or alternatively partner with one. It is for this reason that YREEKA has spent considerable time and gained significant experience within the behavioural sciences field in order to ensure that a thorough understanding of the drivers of human behaviour can be applied when attempting to solve problems. To influence consumer behaviour there must be a fundamental premise in place that underpins all strategic decisions within the framework of behavioural sciences. Consumers are first and foremost people and as such are made up of a myriad of complex and dynamic considerations. People are not purely objective nor are they solely rational or always driven by conscious behaviour. People are multifaceted, with internal triggers, emotions, cognitive biases and various other contributing variables. In order to to personalise therefore you need to have the ability to understand the person. How do you create triggers that drive engagement? How do you build processes that form consumer habits? How do you create routines that ethically result in consumers literally craving your products? For businesses who truly want to get ahead of their competition and drive online sales, they need to start to think of consumers not in data point terms. The application of psychological models to customer data and conversion processes is a fundamental opportunity not to be overlooked. The marriage of the quantitative data as well as a more qualitative analysis of why people are doing what they are doing is in fact not mutually exclusive but rather a match made in heaven. The ability to more accurately interpret the internal make up of people and how their behaviours are shaped and influenced is a key opportunity. If you are interested in exploring how this could work let us know and start designing for behaviour in its holistic form rather than for individual isolated experiences.